Is this real life? It's an in ear Mp3 player! 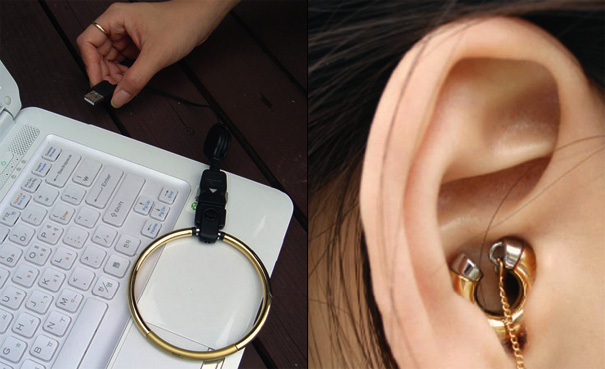 Not going to lie, if they made headphones that looked like this, I would be all over them!The "MP3" Player is the bracelet, and the earrings are the headphones. I'm more obsessed with the headphone part. I think that someone needs to get on top of manufacturing these in America... but I feel like I might lose it somehow. I don't know if that is real... but if it is from tokyo it probably is. Japan always has new cool things. America is slow with everything. 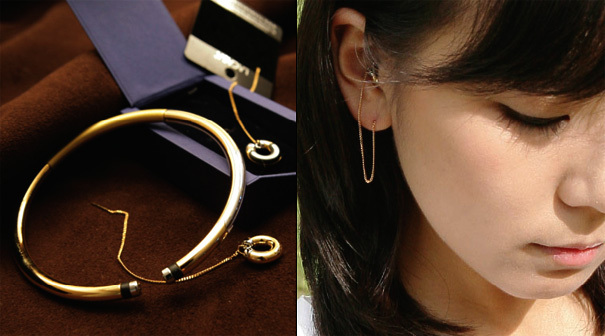 The earphones are actually cute enough to wear as earrings.